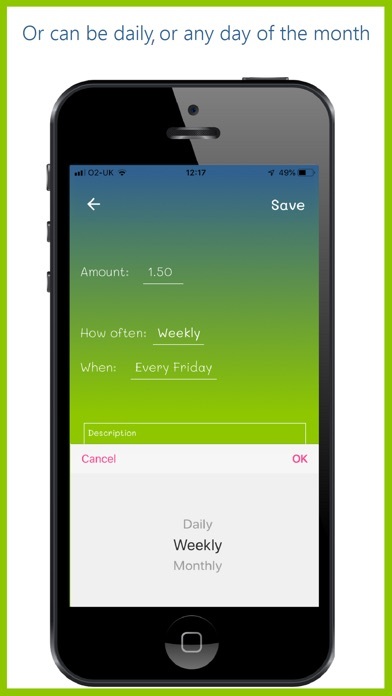 Download Now the virtual piggy bank, or money box, in your pocket. All parents struggle to manage their children's pocket money or allowance. It may be the keeping track of balances, the frequency of deposits, or difficulties in your child getting to their money when out in the shops. The answer is Pig-ee. 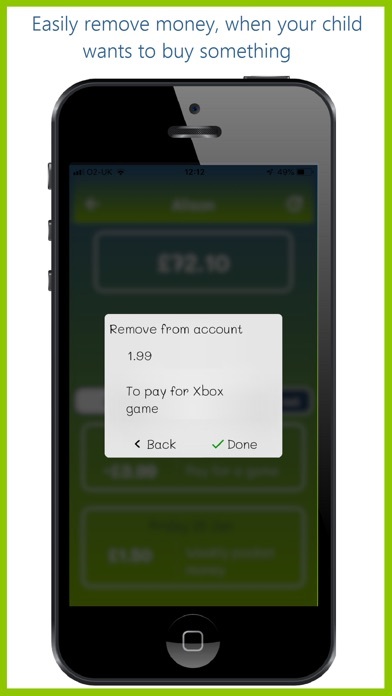 It's so easy to view all your children's Balances and Transactions. Virtual money can be added manually or setup to be credited regularly and automatically. 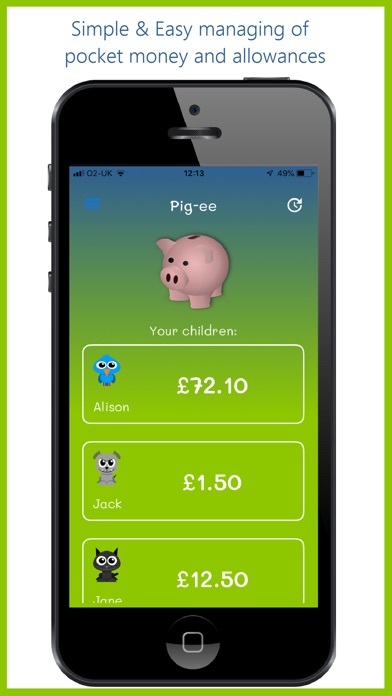 When children want to spend their virtual money in the shops or online, the parent can deduct their Pig-ee balance and hand them their own real money. It's that simple! Children (and parents) can create Wish Lists or Savings Goals for what they would like to spend their money on. Useful for Christmas or Birthday gift lists. It's also TOTALLY FREE to use Pig-ee for the first child. 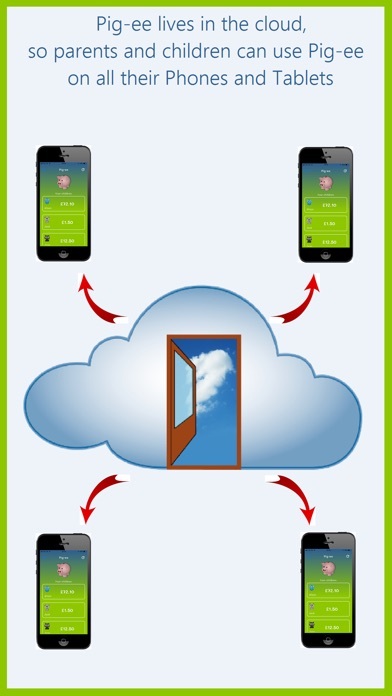 Pig-ee lives in the cloud, so everyone in the family can be setup to see the same data, with children having a more restricted access than parents. 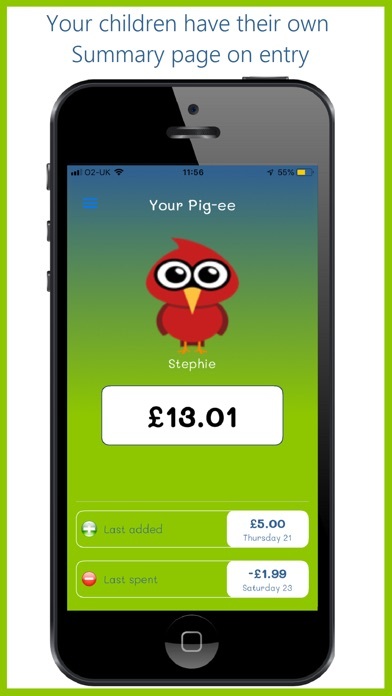 Using either your Phones or Tablets, you will all be able to see how much virtual money each child has in their Pig-ee account, and a history of transactions. Key Features: - No adverts - See how much virtual money all your children have to spend - Easily add virtual money manually. This can also be removed when your child wants to spend it in the shops or online - the parent then hands over their own real money to spend. - Schedule regular deposits of virtual money, daily, weekly or monthly, such as Weekly Pocket Money, or Daily Chores Reward. 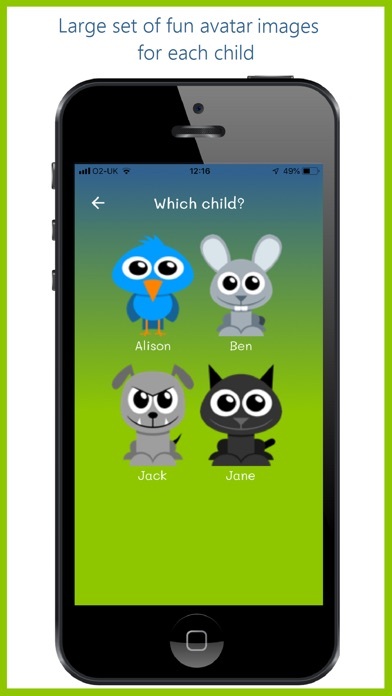 - Simple and friendly screens - Children have their own simple front page showing their balance and recent changes - Great looking cartoon avatars - Children and Parents can have their own logins - Runs on Smartphones and Tablets Pig-ee is FREE to download and FREE to use for the first child, with a limited set of free, user avatar images. After that you can choose any of the following for a small fee: - Adding an extra child - One of the Avatar Packs. Choose from Farm Animals, Wild Animals, Fun Characters or 3D Characters. Each pack has a wide selection of cartoon images, which can be added to your user. What are you waiting for? Give Pig-ee a try today!